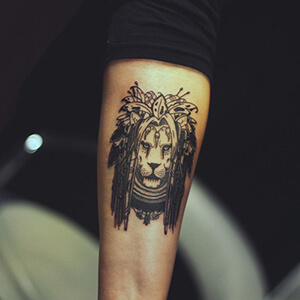 Revered in many ancient cultures, the lion is a powerful animal, heading the animal kingdom and even named ‘king of the jungle.’ The lion also stands as a religious symbol in multiple faiths, including Christianity and Hinduism. 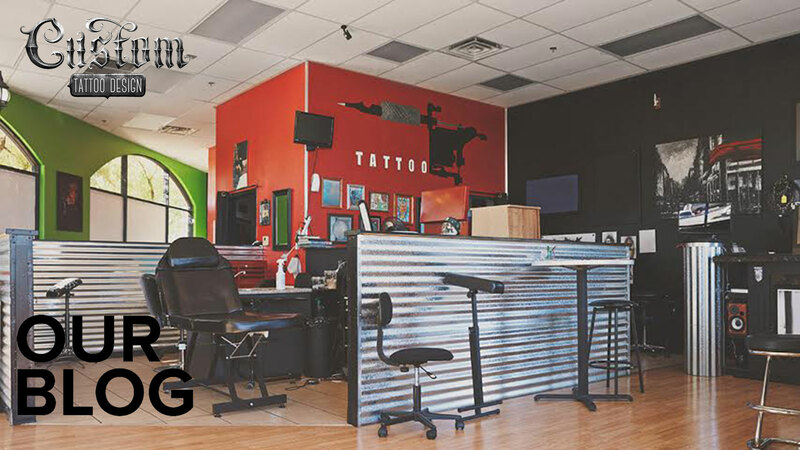 Below, we’ve put together a lion tattoo dictionary, explaining the meanings behind each of these tattoo designs. Japanese Lion: a central figure in many Asian cultures, the Japanese lion represents valour, honour, and justice as a tattoo design. These values were held in high esteem by members of Samurai culture. 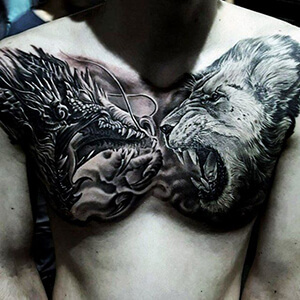 Lion and Dragon: as two of the most powerful creatures, the lion and dragon combined into a single tattoo design is a symbol of authority and strength. These two tattoos together also represent a balance between masculinity and femininity. Lion and Lamb: representing opposite spirits, the lion and lamb tattoo design brings together two worlds. While the lion symbolizes power, strength, and masculinity, the lamb represents innocence, spirituality, and moral purity. 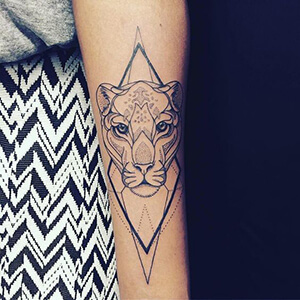 Lioness: known as the queen of the jungle, the lioness is renowned for her intense loyalty, pride, and resilient spirit. She is also a symbol of femininity. 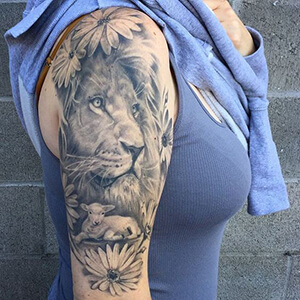 Lion Flower: a prominent symbol of femininity, gracefulness, and elegance, the lion flower tattoo appeals to those seeking balance and harmony. 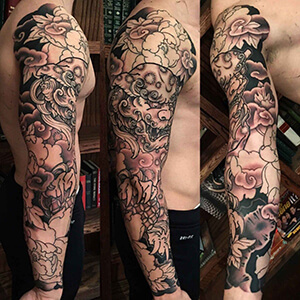 This tattoo design can also represent the middle way between your passionate side and your calm side. Lion Paw: like many paw print tattoo designs, the lion paw is a symbol of progress and accomplishment. It also represents protection, bravery, and guidance along the right path. 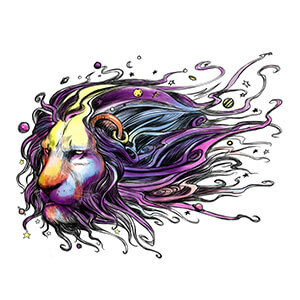 Rasta Lion: a symbol of authority and nobility, the Rasta lion also represents tolerance, acceptance, and love of your fellow neighbour. Roaring Lion: known as born leaders, the roaring lion is believed to symbolize divine power, breathing life into those who are feeble. The lion’s notoriously fierce spirit and leader-like qualities make it one of the most highly respected animals. 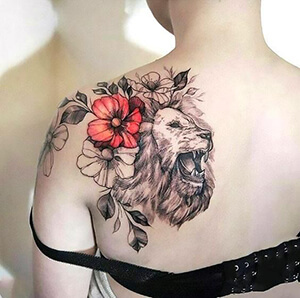 Whether you identify with the lion’s exceptional resilience or his intense passion, lion tattoo designs are visually striking and rich in symbolism. 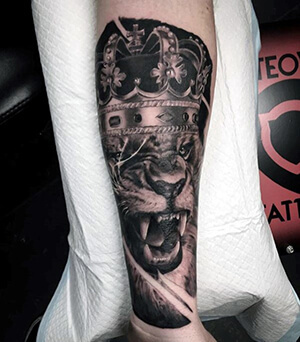 If you know of any other powerful lion tattoos, let us know about them in the comment section below!